The Watts 525P Reverse Osmosis System combine the most advanced reverse osmosis purification and extruded carbon filtration technologies to produce the best quality water available for your home. Watts 525 is capable of producing 50 gallons of Pure water per day. The build in Aquatech 6800 booster pump guarantee the pressure requirement for excellent efficiency.The system comes with installation kit, designer chrome faucet and installation instructions. 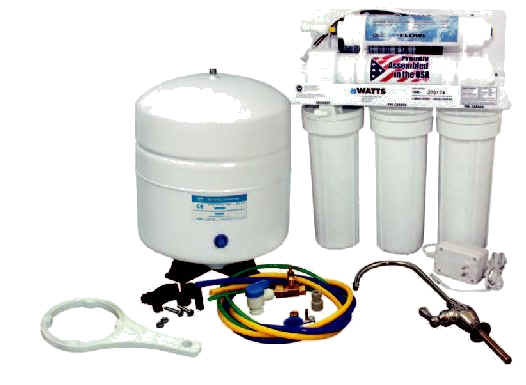 Watts offers one year Warranty on this system.